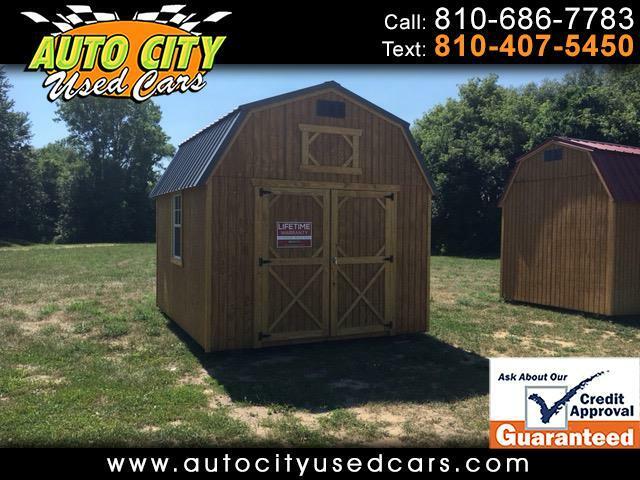 10 X 12 Lofted Barn with gray metal roof. $3255 or rent to own for 36 month - $151 or 48 months - $136. 5 Year warranty plus 30 Year limited warranty on all metal roofing. RENT TO OWN! NO CREDIT CHECKS, NO STRINGS ATTACHED. 90 days same as cash on rent to own. If you decide to pay off the building within 90 days, entire cost of lease services will be waived. 5 YEAR WARRANTY & GUARANTEE!